I am proud to have been invited by Dundurn Press to write my 7th book as part of its Point of View series. Sir John’s Echo: The Voice for a Stronger Canada, was published on April 1, 2017. It is available at bookstores across Canada and online at Chapters and Amazon. Cold Fire: Kennedy’s Northern Front, was published by Knopf-Penguin Random House in Canada and the United States in February 2016. The book challenges opinions of John F. Kennedy and of Canadian leaders John Diefenbaker and Lester Pearson with its look at how the president sought to advance his agenda despite the efforts of Canadians to secure their interests. In April 2017, the book was shortlisted for the J. W. Dafoe prize for Canadian non-fiction. My previous books addressing Canadian History and Politics include Last Steps to Freedom: The Evolution of Canadian Racism, Into The Hurricane: Attacking Socialism and the CCF,( and Bennett: The Rebel Who Challenged and Changed a Nation. Blood and Daring: How Canada Fought the American Civil War and Forged a Nation was published in Canada and the United States in 2013. It was a national bestseller, chosen as one of the Globe and Mail’s Best Books of the year, and received positive reviews in Canada, the US, and Britain. In 2014, Blood and Daring was released in paperback and, through the University of Laval Press, in French translation. The translation was shortlisted for a 2015 Governor General’s award. For a number of years, I have been speaking with groups and doing radio, TV, and print interviews across Canada. The travel is sometimes tiring but I like meeting people who share an interest in books, ideas, and history. My op. ed. columns are writing exercises but also, like my Monday morning blogs, meant to present ideas that might cause a reader to reflect or be stirred to debate. My column has also been seen in The Globe and Mail, Calgary Herald, Ottawa Citizen, Ottawa’s Hill Times, Fredericton Telegraph-Journal, Montreal Gazette, Maclean’s magazine and more. I am pleased to have been invited to contribute a number of entries for the Canadian Encyclopaedia with work done so far on Canada and the American Civil War, the Intercontinental railway, and Thomas Whelan, who was Canada’s only political assassin and biographies of important entrepreneurs and the stories of companies. I was happy when invited to write the foreword for the delightful historical fiction book for young people entitled The Hero of Hopewell Hill (Fireside Press). I have earned degrees from Trent, Queen’s and McMaster Universities. 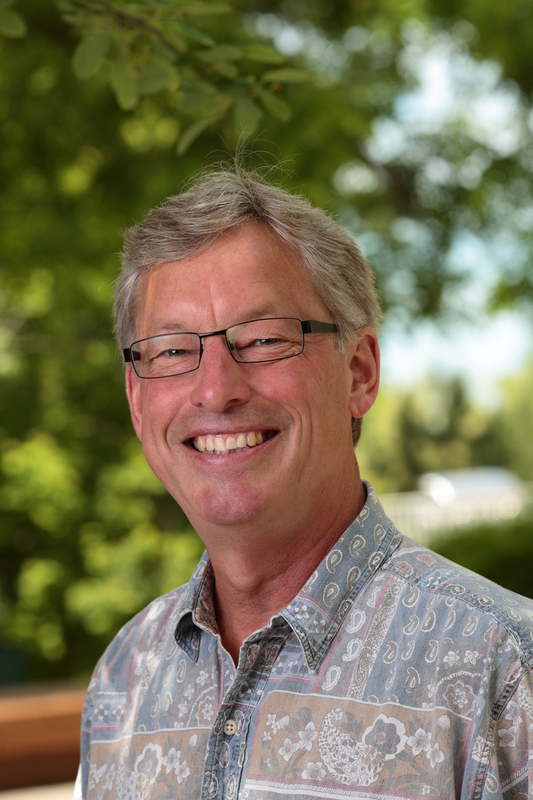 I’ve served on many boards and am now chair of the board of the Lakefield Literary Festival. I’ve been elected to municipal office where I saw politics from the inside – an interesting view. The guitar has offered me great solace and pleasure over the years. I was signed to a recording contract and released three songs that I composed back in the day, one of which was a minor hit in Canada and even made #2 in Sweden, go figure. I am now the lead guitarist and singer in a pop-rock band called The Footnotes and also sing and play guitar in a rock-blues band called The True Confessions. I love my new Fender Stratocaster and my old Martin D-28. I have enjoyed a career in education where students kept me curious and humble. The former Dean of History at Lakefield College School, I left the classroom for administration. Home is the small Village of Lakefield, Ontario where I enjoy runs down the trail flanked by farmland and the Otonabee River and life with my dear wife Sue. You can find me on this site http://www.johnboyko.com, LinkedIn, Goodreads, Facebook, and follow me on twitter @johnwboyko. I look forward to hearing from you. 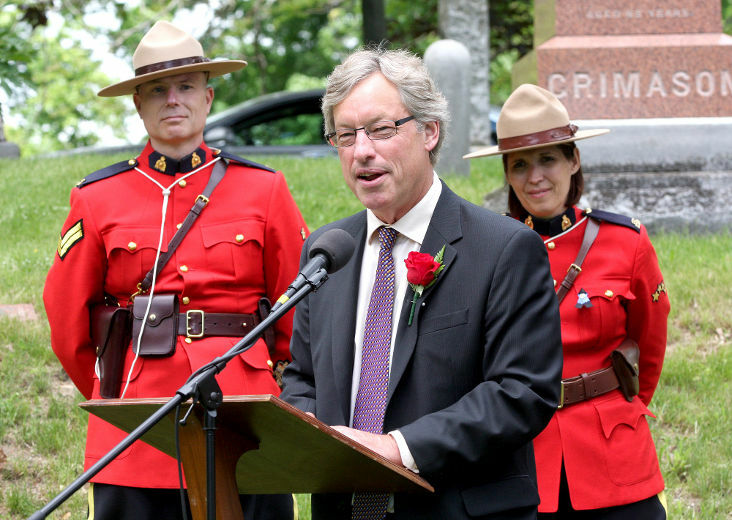 Speaking at Kingston gravesite of Sir John A. Macdonald at the anniversary of his death on June 6, 2014. I recall how much you enriched my daughter’s time at LCS! Thank you and congratulations on your chosen path to fulfillment and happiness! Thank you for your kind words. I sincerely appreciate it. I remember how you also enriched my time at LCS, both in class and a memorable trip to Gettysburg. Congratulations on your recent publications, and wishing you success on Crossroads. Read your article in Ottawa Citizen today on having Artists on banknotes. Couldn’t agree more. Kudos on your books. Went to your web site and and very impressed. Will need to read further. It’s been a long time, glad you sent a note. I still see a number of south house guys and we always end up talking about the good old days. Hope you are well.